Governors Island might not open this spring. The prognosis for turning Governors Island into a year-round attraction of open green space and evil clowns is grim. Very grim. Hence, the huge "broke" stamp. 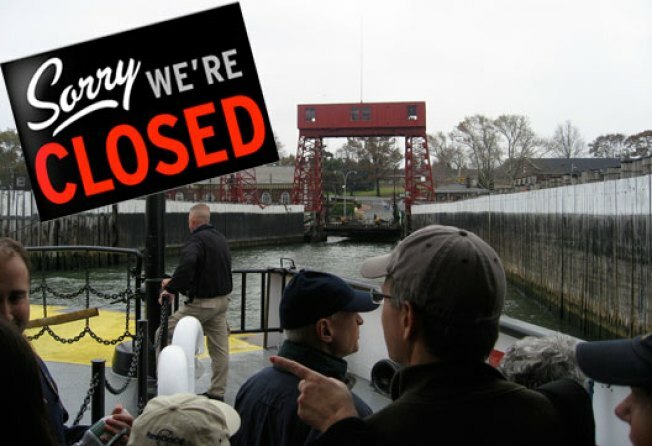 But the short-term future of Governors Island is also in jeopardy, because the Downtown Express reports that the state has yet to contribute any funds to the old Coast Guard base's spring-summer season, and if the state doesn't match the city's $6 million contribution, Governors Island might not open this spring. Ack! The money is needed to operate the free ferry from Lower Manhattan and to fund the island's various events. Mayor Bloomberg, thankfully, seems willing to take up the island's cause, telling the paper money from other projects—such as Hudson River Park—may get shifted over to Governors Island to make sure the totally awesome and spooky abandoned village would still open. The ghosts approve.